FlyTheNest • View topic - How did you choose your username? Post subject: How did you choose your username? I used to travel round the country tarting up shops for the company I work for (doing a refit) and "Dan, Dan the Refitman" kinda stuck. Edited to add - previous usernames in a wide range of other places include Crash, No!, random, 45rpm, mercury rising (there is a reason, I can't remember what it is, but it's nothing at all to do with either Sting or Bruce Willis), the purple, adlad and the vinyl countdown. I have had enough of pseudonyms. A previous username had become catnip to a set of particularly nasty trolls, so a retirement was in order. Being a big Pratchett fan, the new name seemed a logical choice ....and it gives me the ability to go an scythe at people's ankles if they annoy me, as some have undoubtedly seen over at the Graun! I have always loved mayflies and damsel flies - genus ephemeridae. I am also a person in 12-step recovery, and take my life a day at a time. Mayflies are reputed to live for just 24 hours - a bit like me, but I get another go and they don't. I had a tattoo of of one done on my ankle on my second sober birthday (people in AA have two birthdays, a sober day and a belly-button day) - first to celebrate, and second because I'd always wanted a tattoo and my stuffed shirt of an ex would have disapproved. If I may be so bold ...... we all have different standards of beauty and different standards of ordinary, what some would consider "ordinary" will be what appeals to others; and, of course, it is what lies inside that makes the person, not the wrapping, and I would therefore suggest you are somewhat more than ordinary! Now I'll bugger off and embarrass somebody else. Just my surname and first initial. Name of a battered old Hobie 16 catamaran I bought with my savings with a mate when I was 16 myself. Guess it was a kind of rebellion - kids I knew grew up going to the yacht club, and sailing smart laser dinghies and the like. I buggered about in whatever I could, mainly dinghies my mates and I could fish from. But sailing got me, and I saved every penny to buy my half-share in Hobiejoe. Beast of a boat, but kind of got the hang of it. And b) once we learned how to drive the damned thing we went flying past the posh kids. Unfortunately we then often c) capsized in front of everyone. But hey, we had a sh*tload of fun for relatively bugger-all money. My user name came from a book I'd read 'The Divine Secrets of the Ya-Ya sisterhood' but I spelled it wrongly. Think it also resonated for me as it sounded like jaw-jaw, meaning talking, which I do a lot of. for very similar reasons...... I love a good natter. Back to Lady C. Her family, the Kernows, claim direct twice-royal descent from Gorlois and Uther Pendragon via Morgause and Arthur through Mordred's little-known younger twin brother, Gordred; and have never forgiven the Normans for giving their country to a Frenchman called Brian. They maintain their claim to the Cornish and British throne; and insist that only Cornish be spoken at dinner, thus usually eat in silence. Lady C, herself, is an ardent socialist, keen horsewoman, Lady Master of the local drag-hunt, and eco-warrior. She never married "... because how does one choose when there are so many beautiful young men around." Was going to start a Books/Writing thread, and OhSo's mentioned she's been writing a novel too. Like you I've got background research/back story/plot outlines and quite a few scenes and chapters based on partisans in Northern Italy in 1943 -45. & Ephie - glad we have things in common, even though we sometimes are poles apart. Sorry there's been bad feeling in the last few weeks. When I first ventured onto CiF, I wanted something mildly self mocking, slightly honest and an obvious target for scum who think MH problems=stupid/weak/doesn't know what they're talking about. It was CiFers who guided muggins here, so easier to use the same name and avoid confusion. Also, during one admission as I got better I started answering questions with "Don't as me, I'm just a mental patient". This spread to other patients fairly rapidly and was very amusing at times. Prefer the new colour scheme, BTW. Sounds like a good idea for a thread. I have two outlines for counterfactual novels that I've been kicking around for a while. one set in Tudor times, the other in an alternative version of the 80s. Admin peeps if you are reading, could we please have a new Books/Writing topic heading rather than put it in the Pub ? I've been meaning to say this for ages @ rebeccariots: Love the name and been to St Clears and hugged the memorial. (It's made of wood, endlessly huggable). And to anyone thinking about visiting Wales: I have been to St Fagan's Museum for 2 full days, seen every building but never made it to the main house, I need another day for that (I assumed that as that was all about the rich folk, it would pretty much mirror old "Lord of the Manor's houses" everywhere so left it til last). Reference to it is Rebecca Riots, the tollhouse was taken down and rebuilt stone by stone at St Fagans, it has St Teilos Church where during taking it to bits old wall paintings were found and recreated, a workmans institute, a working mill (water), loomhouse, tannery and leather workshop, shops, other buildings too numerous to mention. I'm near Big Pit and the Blorenge mountain, its history is getting lost. I do some CAB work and have to go over the mountain to it every week and I know my great grandfather x 3 farmed it (leasehold) and his sons and son in law went into the mines. I wasn't born here but I know this is my home. I am Welsh and my name is Ian. I am back living in Wales now, a few miles north of Caerphilly, and have been for about 8 years, following a long stint in London and a much shorter one in New Zealand. My user name is a combination of an old family name and the place I was born. Not very original perhaps, but I was devoid of inspiration. Before I go, just a little background. I am from North Wales originally and mum and my siblings still live in Wales. We have lived in Sheffield for coming up 20 years and arrived here via Bedfordshire, Northamptonshire and Cambridgeshire. We have 3 children, all of whom have been or are currently at University via the local comp and colleges. I was a civil servant at the MoJ until January 2010, when I left after 10 years to pursue other interests. I am fortunate in that my other half is in steady reasonably secure and well paid employment. I am a member of the Labour party and I voted for Ed in the leadership election. Many people would say all of this makes me middle class, but I consider myself and my family to be working class. My father always told me that there are 2 classes of people, those who have to work and those who don't. Despite the good fortune I have mentioned above, we are still only one step away from unemployment and potential poverty. I have also worked in the private sector in call centres, banks and shops. I also worked voluntarily at various times as an adviser at a small independent advice centre, covering welfare benefits and debt. Last year I spent 8 months working through an agency at the home office in Sheffield, and was working on the same floor as the team filmed during the despatches C4 programme. Needless to say all was not as painted in the programme or in the press. Welcome MorganLlan and thanks for sharing your biog. I've had it so long now I'll stick with it. Hello Everybody knows, pleasure to meet you. Thanks, refitman. I know it's an overused word by many these days...so won't say honoured or privileged.. but I do feel pretty special to be (allowed to be) a member of a forum with real people - people who care about decent things - stuff like yourself and (especially) ephemerid post about all the time. I read the Guardian online a lot but have only commented a few times, but have spent hours thinking about what I should have said. Usually finding someone else has said it later, Not meaning to kop out - just don't have the words. I do the recommend thing though! It scares me what this Govt is doing - I went to Wewelsberg Castle a couple of years ago. There's a large willow tree visible from the window next to my computer. I think I first used it when posting a review somewhere or other. I'd also used it on the BBC website so used it again when I signed up with the Guardian to comment on an article about the privatization of Hinchingbrooke hospital, which had made me particularly angry. Of course at the time I thought it was a one off comment - I never expected to still be regularly using the same name 3 years later! I live in Pembrokeshire & my name is... yep, its Paul. For some reason the u/n (which I think is my BBC u/n), appeared when I was registering here and I clicked on it or did something that set it! Almost everywhere else, I'm me... Paul Rutherford. I decided last year to dispense with other usernames and just be myself. I think I thought it gave me the moral high ground when dealing with trolls, especially on twitter, where I'm @PaulRutherford8 for some reason! @Paul: did you register on the old site, perhaps? Or might your browser be set to autofill forms from your address book, or summat? You could drop refitman a pm to ask if there's a simple way that he (or you) can change your username to your own name. One of the Google developers (who built Google+) and their team did a piece of deep research into whether or not the use of real names prevented trolling and other anti-social behaviours. They found that it made no discernible difference, which is partly why their names policy is that people should use 'a real name', as opposed to 'their real name.' I found that interesting. Not the same thing as using your real name to give yourself a feeling of having the moral high ground over trolls, I know; and it might be harder to research into whether or not that strategy is more successful than others as you'd be measuring perception. But there's another thing I'd be interested to know. UKIP candidate white supremacist. Now ex-candidate. 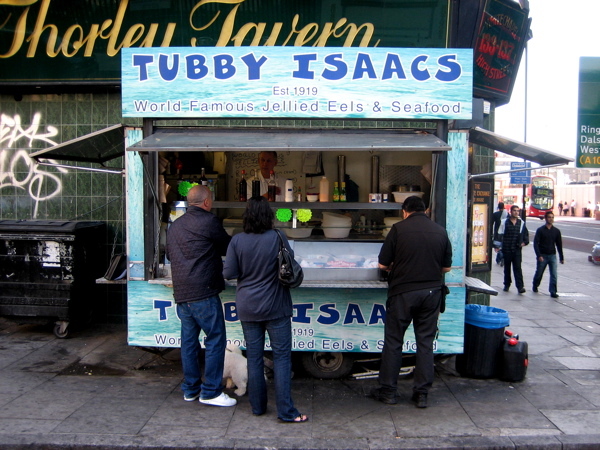 Tubby Isaacs: why on this thread. Awful story. Seems good he's now an ex-candidate. Whoops! This thread must have had the latest post and I assumed it was the Daily Politics. This is where my username comes from. I had tended to use my own name on places in the past but I decided to give myself a small measure of anonymity. Well, why not? It's a rather convoluted and not terribly funny in-joke from The Apprentice liveblog, where I started my Guardian-commenting, about six years ago. A candidate with a NI accent was indulging in the sort of ill-advised bombast-to-camera and said something along the lines of 'anyone brings me into the boardroom, their sphincter ought to be twitching like rabbits' noses'. The author of the liveblog (some of you may remember AnnaP) failed to understand his accent (she was American to be fair), translated it as 'twitching like Robert Snozers' and asked everyone who this Robert Snozers was. Turns out it's me. Also hence the (usual) avatar, which will return when the Labour leadership election is over. To any who land here having clicked on the 'most recent post' - this is 'how did you choose your username', you want Daily Politics, down the corridor, next to Abuse. My name came about because everytime I seemed to walk into a room my daughters were always huddled over the phone,they would look up then mutter it'sjustmom. I always love my nephew....he is a 4 year old kid. I spend my free time with him. He is so funny..Its nice to play with him and spend time. Hi Brunton, welcome to the site.